To explain GPS coordinates, we have to understand how a point on Earth is determined according to imaginary vertical and horizontal lines. In addition to that, the point is also determined by its elevation and altitude. The Global Positioning System, commonly known as GPS, has become a very important part of our daily lives. It provides accurate location information that lets us determine where we are on the planet at any given time. This way of location tracking has many applications and in order for us to understand how it works and how the devices that interpret the data function, we need to be able to understand how GPS coordinates are used. GPS Coordinates information is mainly consist of degrees, minutes and seconds but it also provide specific location by looking at the longitude and latitude angles on Earth. Longitude and latitude readings have long before been the standard way of pinpointing specific areas on the face of the planet. Latitude is a horizontal line that runs parallels to the planet’s equator. Longitude specifies a specific point along parallel lines that run from the North Pole and the South Pole. The intersection between the two lines is the point, which presents the specific location. For most applications in map reading, this kind of information is enough. However, if you really want an accurate reading of a specific point on Earth, you will also need information on their elevation and altitude. Several types of devices can decode and interpret GPS coordinates and present them in a graphical manner to users. These devices include mobile phones, handheld GPS receivers and car navigation systems. These devices often present GPS coordinates via graphical maps with different layers to provide additional information that can easily be understood by users who are not familiar with the raw numerical values of GPS coordinates. 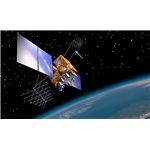 The original application of GPS and the coordinates it provides is in military operations. It helps the United States military locate certain targets for attacks or rescue missions. It is also used in missile guidance and general map creation. It is even an important tool in detecting nuclear detonations around the planet. Eventually, this set of military applications evolved to more civilian applications like car navigation, exploration and tracking of objects and even people. Personal use of the technology is becoming more popular as many devices, including mobile phones, are starting to include GPS capability as a standard feature. The inclusion of GPS capability on mobile phones is not just for personal vanity and recreation, though. It was initially suggested by the United States government that GPS capability be built in to mobile phone networks for emergency purposes. To explain GPS coordinates and how it is changing the way we live, we only need to look at our daily commute and our evolving recreation activities. For long trips, it is now normal to see cars having navigation systems. New recreational activities are also being born like geocaching, which is a GPS-based modern version of the scavenger hunt.